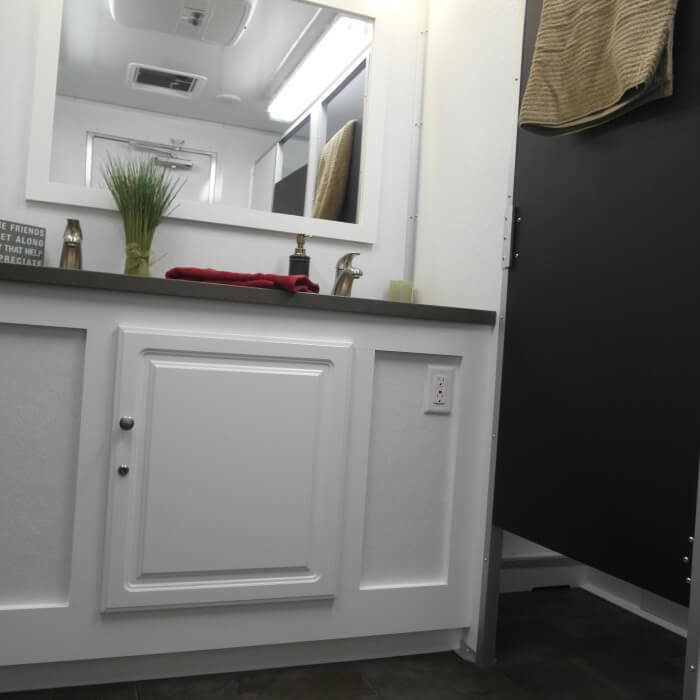 The 8-Stall Shower Trailer from Moon Portable Restrooms is built tough and ready to withstand even the roughest wear and tear. 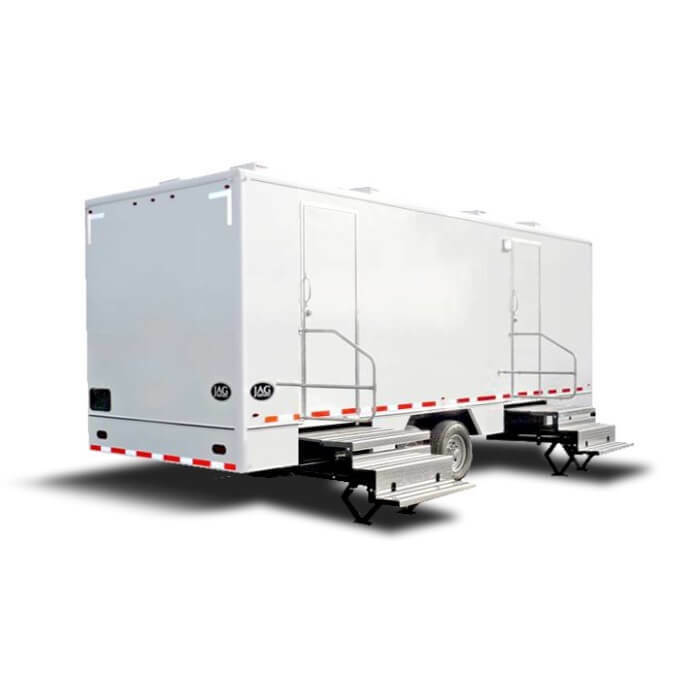 This industrial shower trailer can be utilized as a disaster relief shower, emergency shower, or decontamination shower depending on your needs. 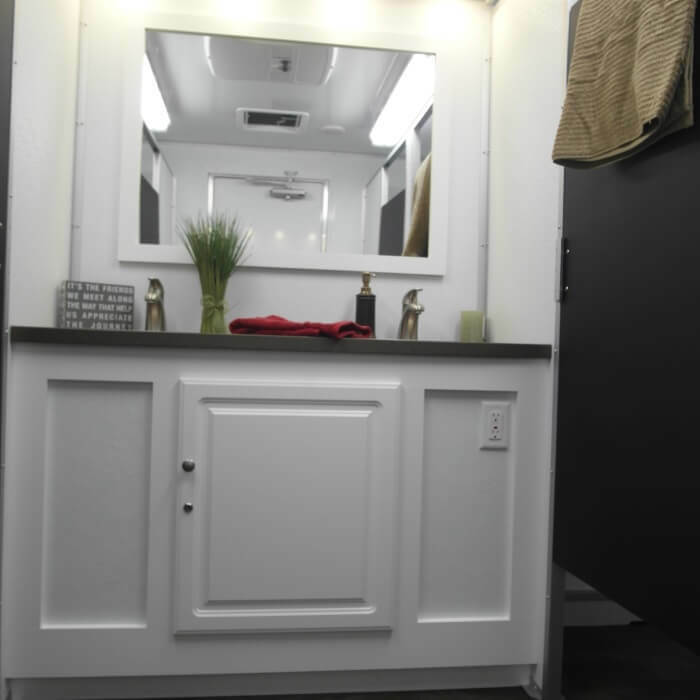 This shower trailer available exclusively at Moon Portable Restrooms features 8 standard shower stalls with individual dressing rooms, 2 vanity countertops that each feature 2 sinks, custom etched mirrors above the vanities, and a 300 gallon fresh water tank that is on-board the trailer. 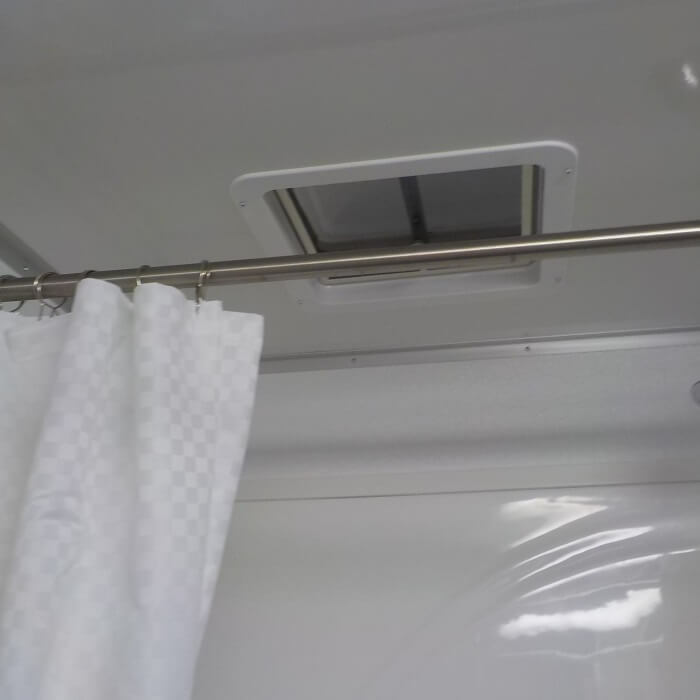 This shower trailer is split into two cabins – 4 showers and dressing rooms, 1 countertop with 2 sinks and a mirror in each – so men and women can shower in the same shower trailer without sacrificing their privacy. 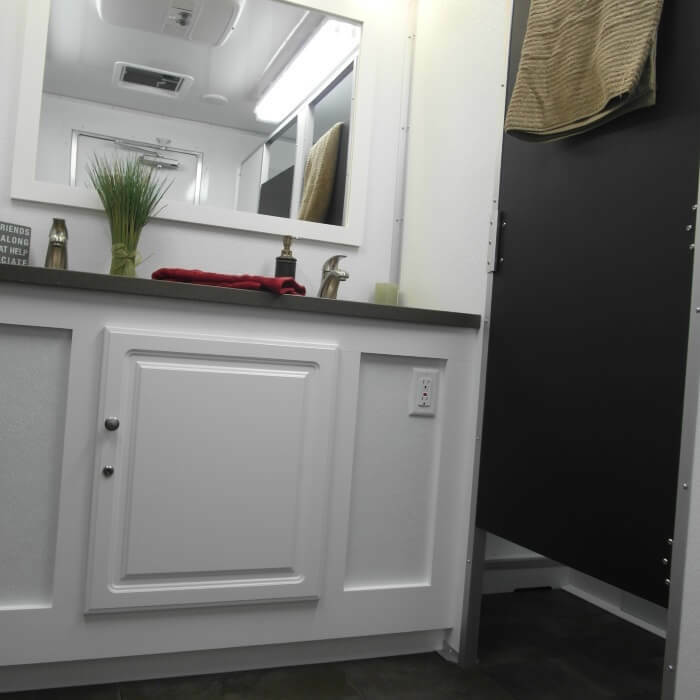 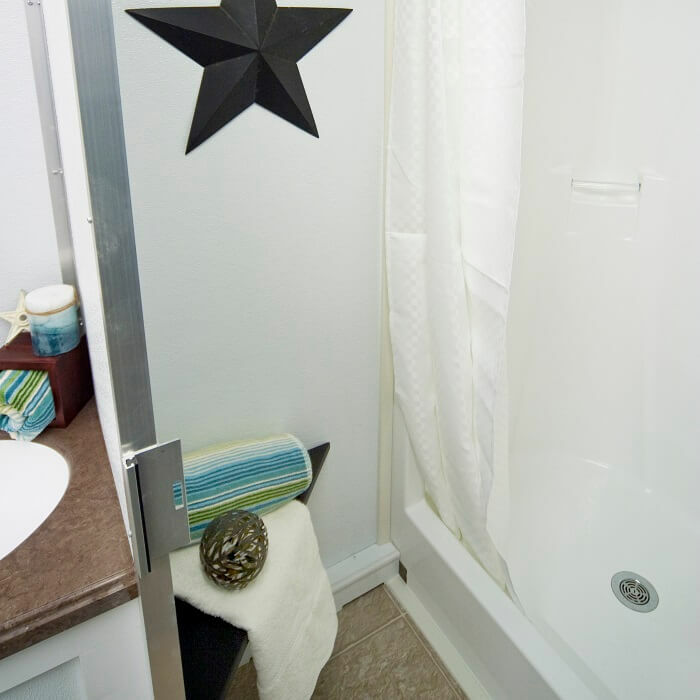 The 8-Stall Shower Trailer available for rent through Moon Portable Restrooms also features heavy duty vinyl flooring and graffiti resistant walls. 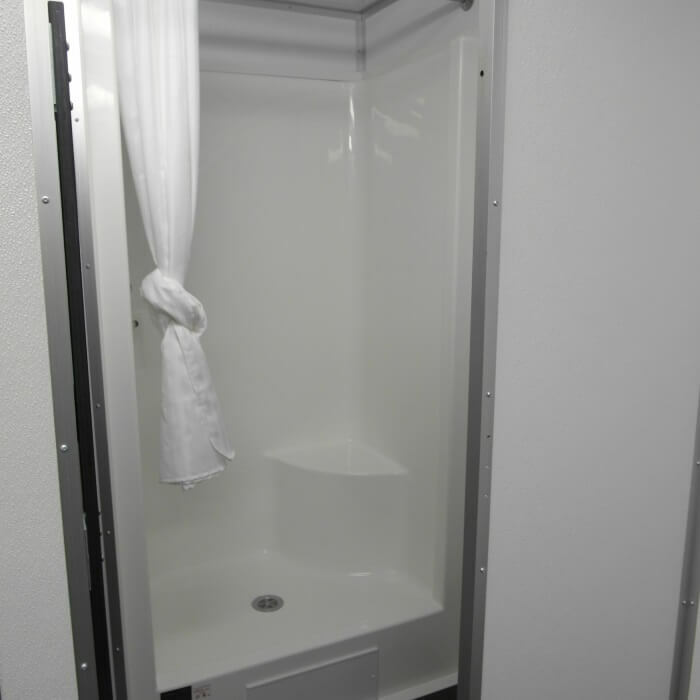 Use this shower trailer at training camps, disaster relief locations, or oil fields. 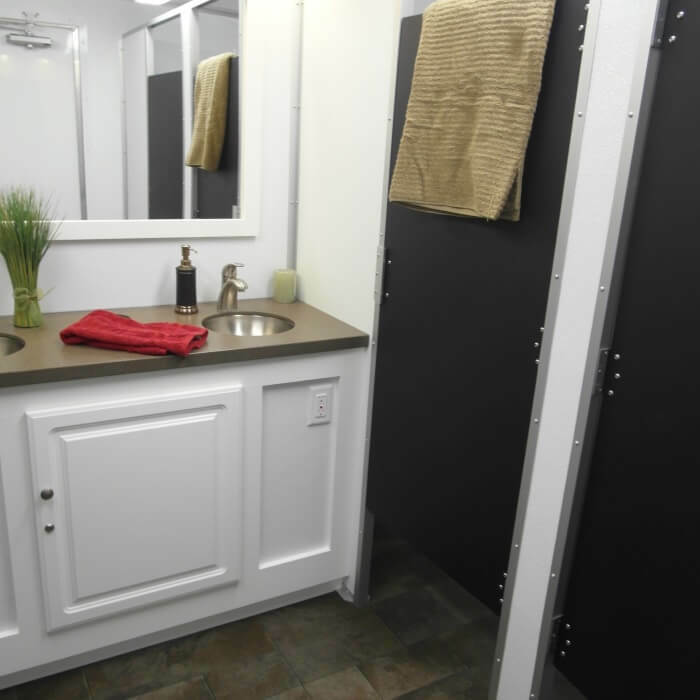 With the 8-Stall rental, you can bring cleanliness in a safe and stable environment to your employees or event guests with little hassle. 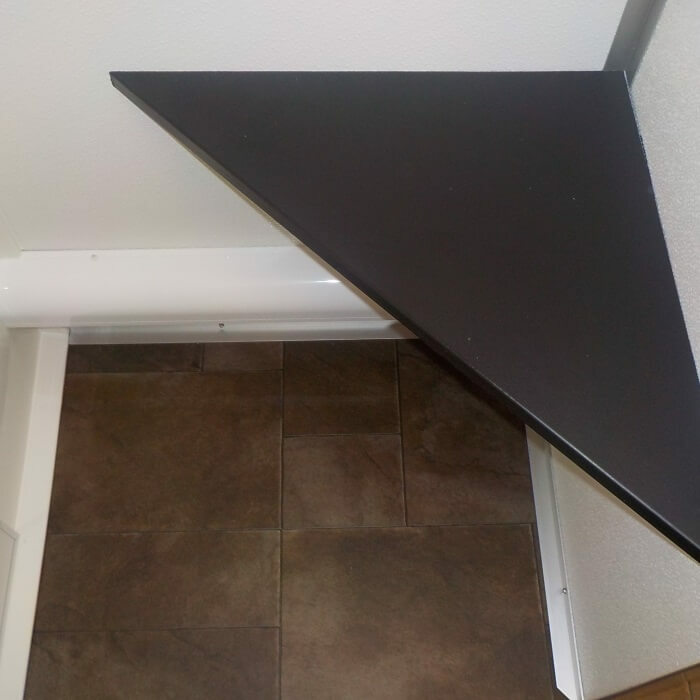 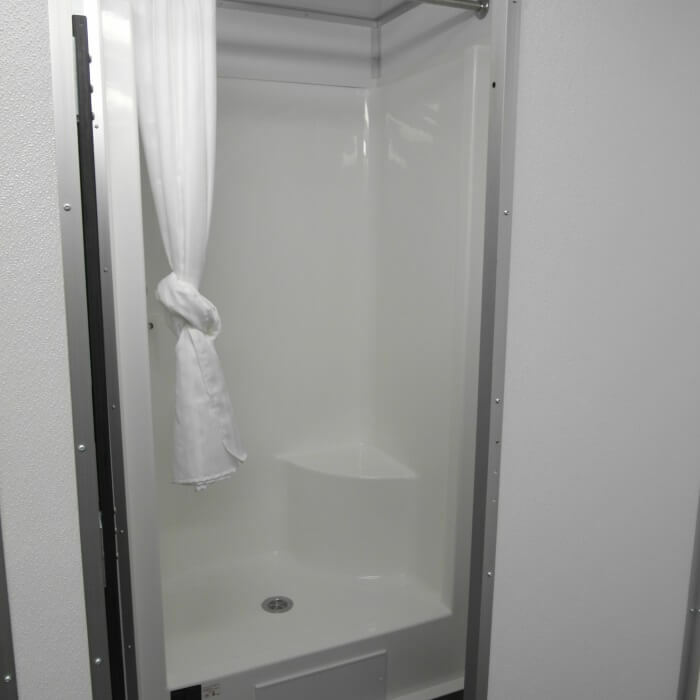 In order for the 8-Stall Shower Trailer to function correctly, you will need a clear level area that is at least 12’ x 36’, 3 dedicated 110 watt / 20 amp circuits, and a water source within 50’. 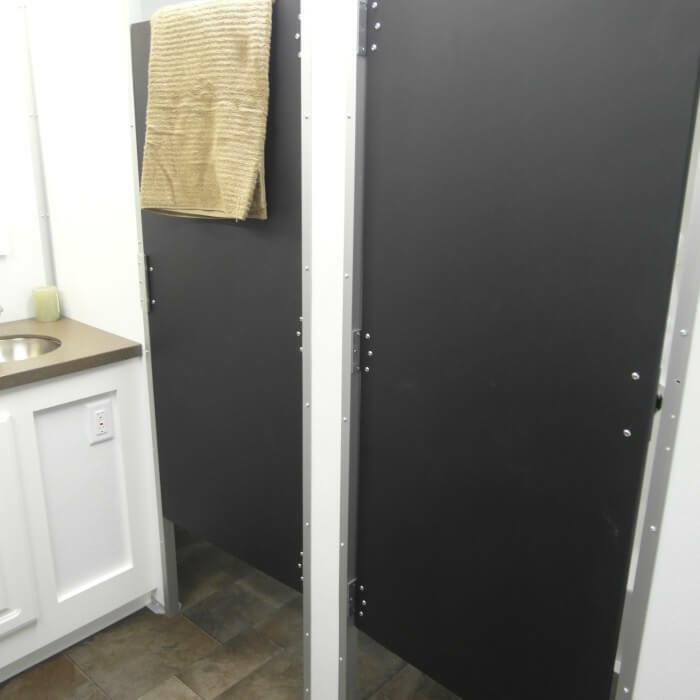 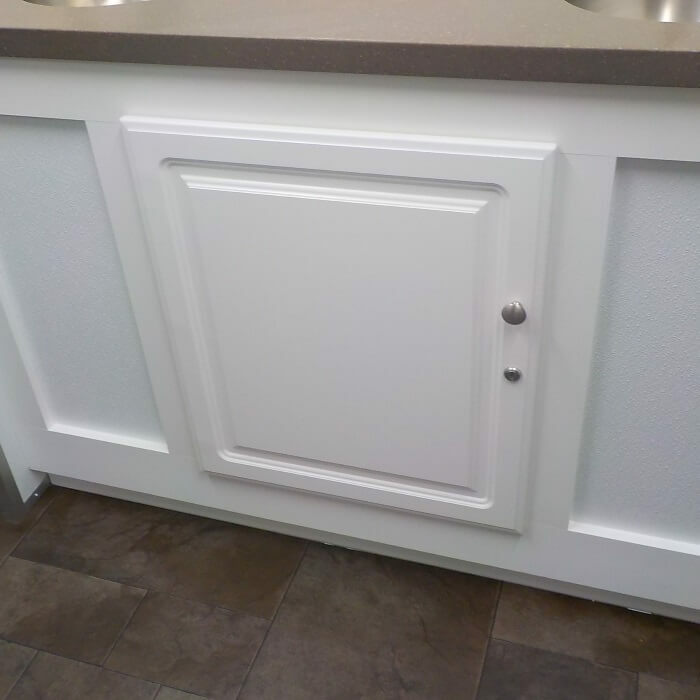 If you have questions or are interested in getting a quote, call Moon Portable Restrooms today at 502-776-2199!